As a Human-Computer Interaction researcher, I design, build, and evaluate social computing systems that enable people to perform complex, creative work personally-meaningful to them . I am a Ph.D. Candidate in Computer Science, advised by Scott Klemmer at UC San Diego Design Lab. My research uses scientific work (especially human microbiome research) as a petri-dish to create scalable techniques for integrating learning and working. My research platform Gut Instinct has been used by over 600 people from 30 countries to create novel hypotheses, design experiments, and replicate known results. 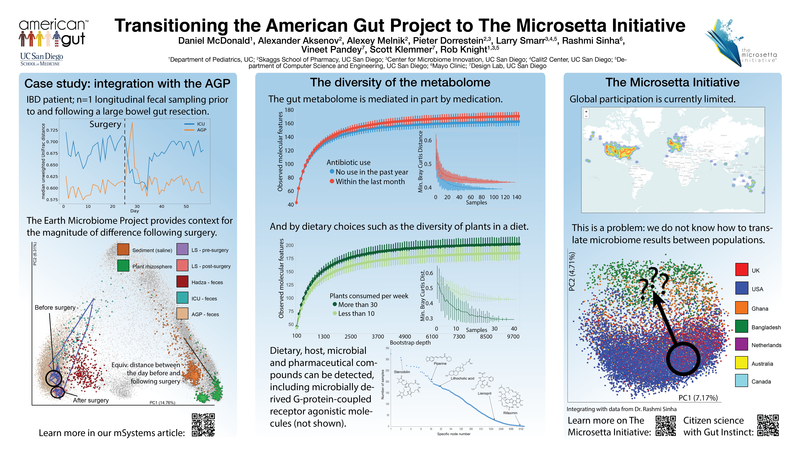 My research systems have been deployed with the American Gut Project (world's largest crowdfunded citizen science project), Open Humans, and many other communities. I have published at leading HCI and Learning conferences. I have shared my work with numerous communities including fermenters, makers, patients, and citizen science enthusiasts. I want to enable people around the world to live more meaningful and fun lives by solving their own problems. Building online systems by by integrating technology, learning, and community gets me closer to this goal. And it's a lot of fun too! 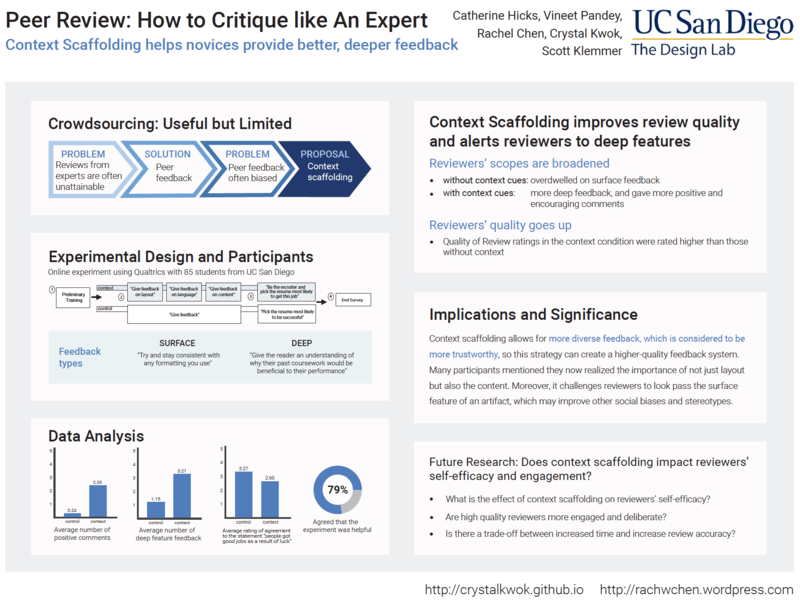 Framing task goals significantly changes reviews, by adding a numeric scale, chunking the task into short stages, and showing draft along with final work. Deferred verification preserves the utility of online verification and improves concurrency resulting in orders-of-magnitude performance improvement. 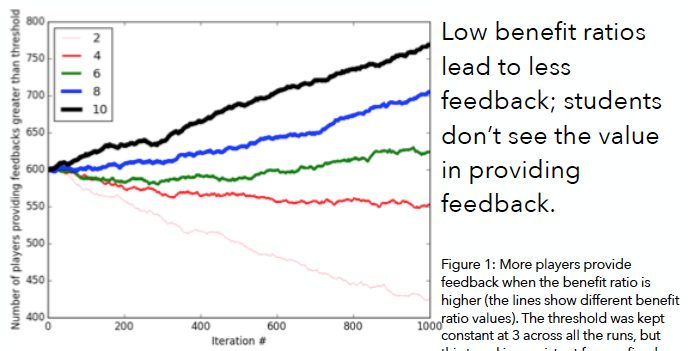 Game theory simulations show that incentivizing students to provide feedback requires the value obtained from receiving a feedback to exceed the cost of providing it. Hiding feedback from low-effort students incentivizes them to provide more feedback. Liby Lee CSE BS -> U.Penn Ph.D.